We completely sympathize that in these testing economic times many people seem to be more spiritually developed than economically!! 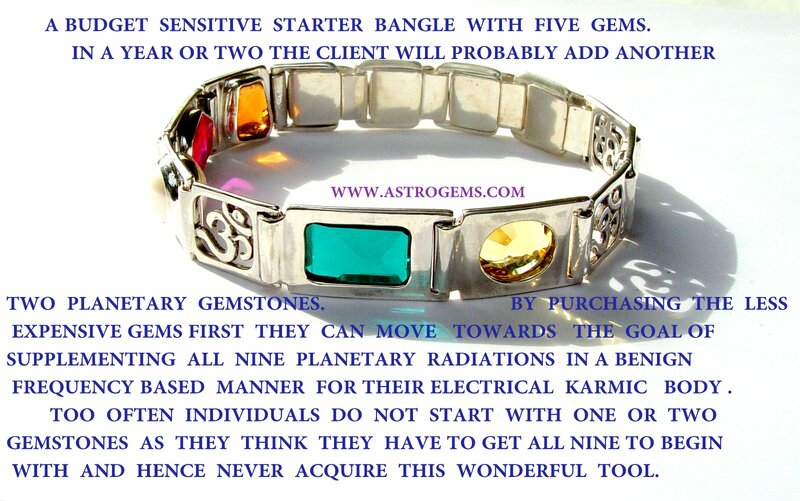 Obviously this trend has been a challenge for us as well and because of it, along with our desire to get as many individuals as possible mitigating or nullifying negative karma with the use of colored astrological gemstones, we believe we have nearly perfected a system that helps most interested persons move towards this noble goal in an affordable manner. 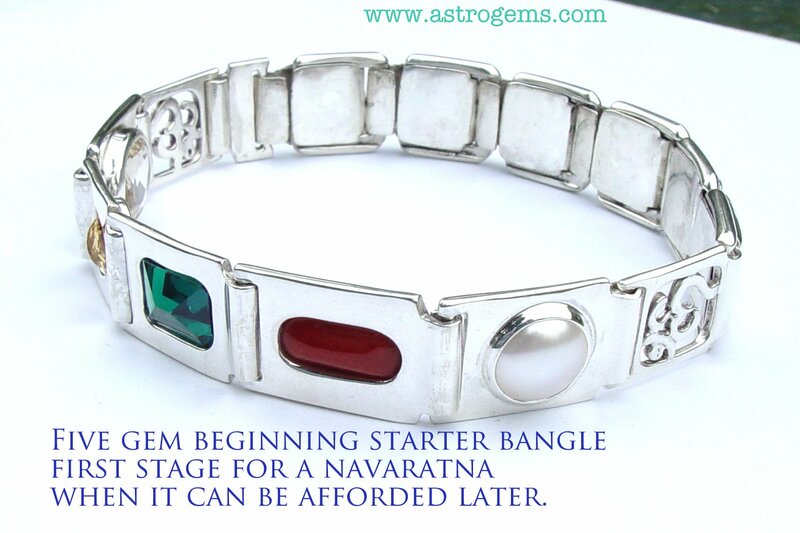 The nine-gem (Navaratna) bangle can be started by just obtaining one or two gems. 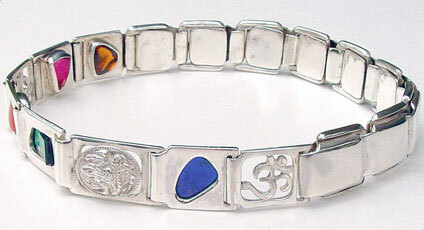 Its link-to-link design is such that new gems can be added at a later date as the inclination and budget allow. It can be worn using silver or copper spring links or even elastic so that the initial purchase price is not too high and can fit into your budget. 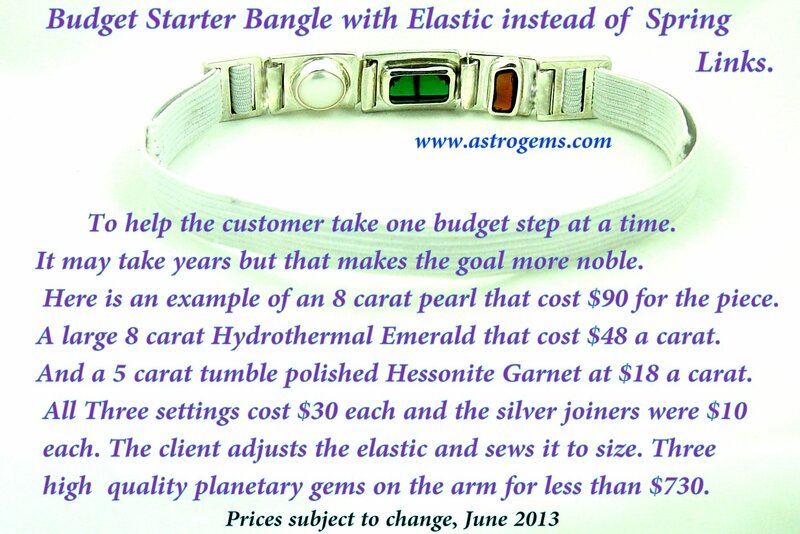 A person can begin the lofty goal of getting a nine-gem astrological bangle for as little as $280 starting with the less expensive gems and an elastic band. 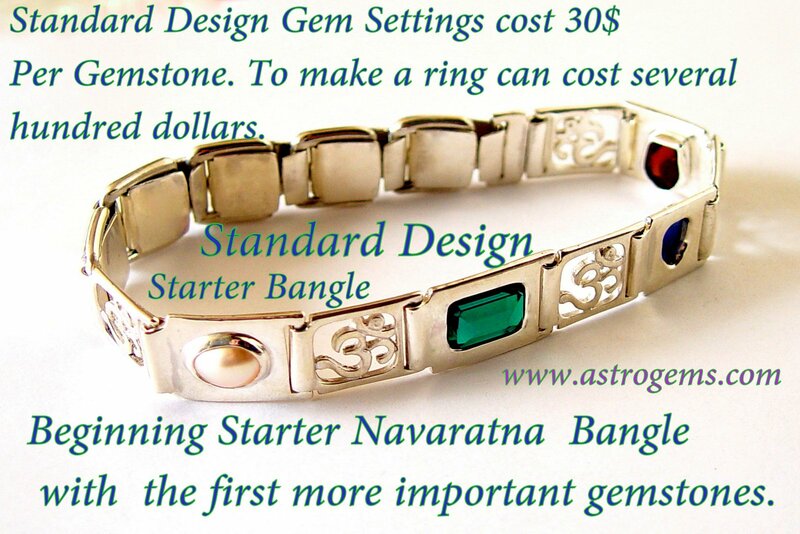 We developed this system because so many people have decided that a nine-gem bangle is an excellent plan to greatly help their incarnation, but the high cost of such a necessary item could not be accomplished in one step. With our step by step process, even if it may be a few years before you complete your bangle, the gems you do buy first will start working the moment you begin wearing them and the amplified synergy of more gems will greatly enhance the first ones. With regard to the costs of planetary gems, often the individual thinks they have to get a facetted symmetrical faultless gem of a specific weight when in fact sometimes a natural uncut crystal from the same species will be more than sufficient. For instance a high quality facet cut hessonite garnet weighing five carats can be around $500 for the deep brandy colored, non-hazy variety. 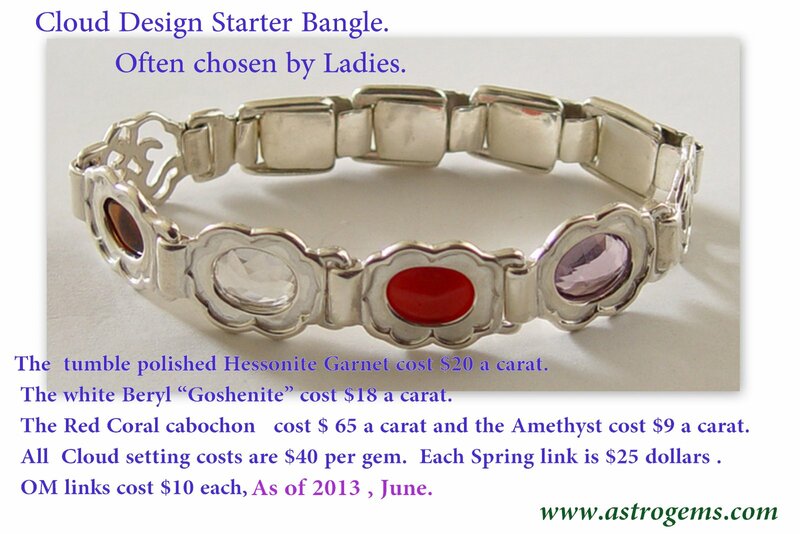 Yet a tumble-polished pre-form of the same weight can cost only $18 a carat. (Smaller high quality faceted hessonites can be as low as $70 per carat, but it is hard to get a large hessonite inexpensively any other way than a tumble-polished pebble). Over 500 years ago, even the Navaratna of a maharaja would be made using an unfaceted natural diamond crystal because the technology to facet cut diamond did not yet exist. 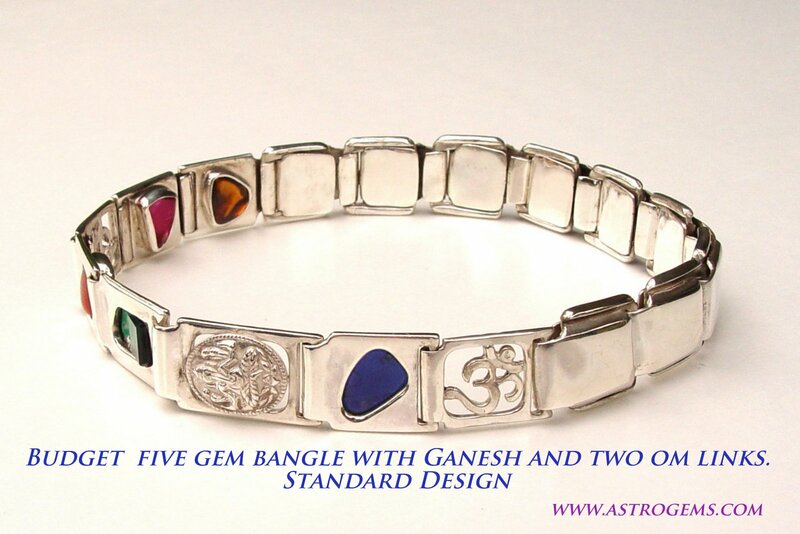 Each ayurvedic planetary stone has alternative options based on color and cost. And at Astrogems for the last 30 years we have always offered a full buy back program on a gem if the client wants to upgrade their planetary gem later. For instance if you want to switch your white beryl (goshenite) to a raw diamond crystal, we will buy back the white beryl at full price as trade in value. Yellow sapphire of unheated, untreated, naturally astrological quality is becoming exceptionally expensive these days, and almost always gem dealers are selling heat-treated yellows or synthetics while claiming them to be natural. Quite often we offer a flawless yellow beryl (heliodor) in the place of yellow sapphire. It generally has a much deeper sparkling yellow color and at around $85 to $125 a carat, is about 10% of the yellow sapphire price (the price variation depends on depth of natural color and size). If the buyer’s budget is still not strong enough for this option, then exceptional quality large yellow beryl crystals that have a hexagonal shape just like raw uncut green beryl (emerald) can be $45 a carat for larger crystals and even less for smaller ones under 3 carats. Large undrilled, unbleached freshwater pearls can be only $75 for the piece for an 8 carat pearl. 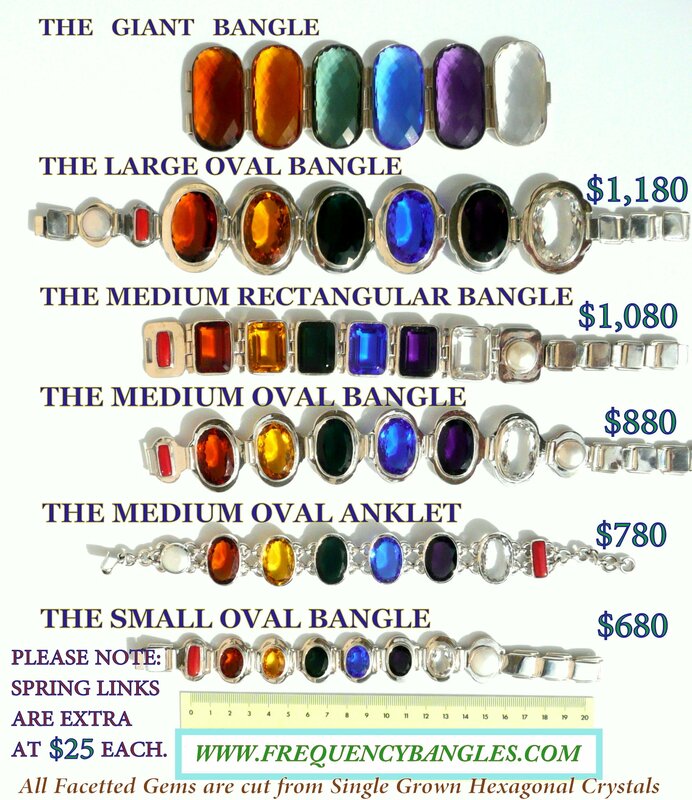 They can go down to $50 for oval shapes, etc. And red corals can be as low as $24 per carat when not shaped symmetrically like a cabochon or barrel piece. All too often an individual is simply clouded in their discernment as to what an astrological gemstone is. The jewelry industry has heavily influenced them into thinking that it must be a facetted gem and that nothing else will work. They may decide against a stone because they think astrological gems should have the cosmetic appeal of the crown jewels, but good color and clarity and a wide surface contact area are far more important than a symmetrical shape. 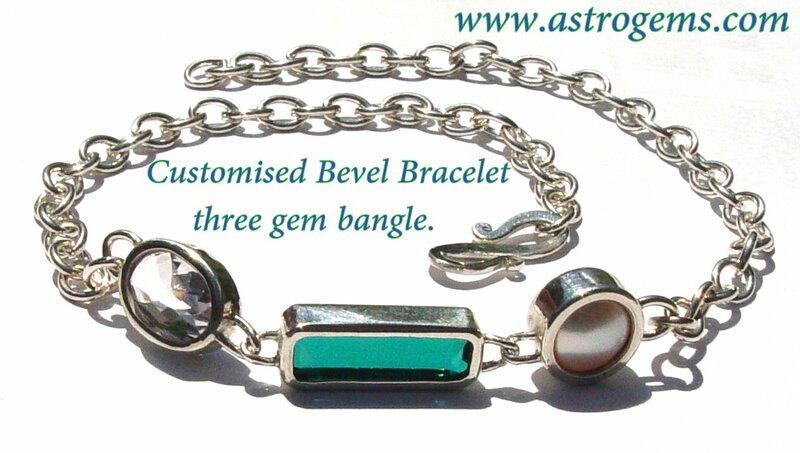 At Astrogems our research indicates that a good contact surface area along with clean crystal material is the key. A smooth polished surface for skin contact is best and the shape is not essential, just as a magnet will exert its pull no matter what its shape. Magnets have a similar characteristic to crystals in that their electrons are in alignment with the concomitant polarity just like crystalline gems. Crystals are unique in that they have a geometrical molecular lattice that creates a perfect laser-like alignment of the electrons which creates an amplification of energy. This energy is carried by the spectral color of the gem. On account of our cultural upbringing, we tend to think that a planetary gemstone must look like a symmetrically facetted gemstone. Though these are great, they are often too expensive and unnecessarily so, as a well-polished natural crystal of more weight touching the skin can be more effective if the clarity is equal to its jewelry store cousin. 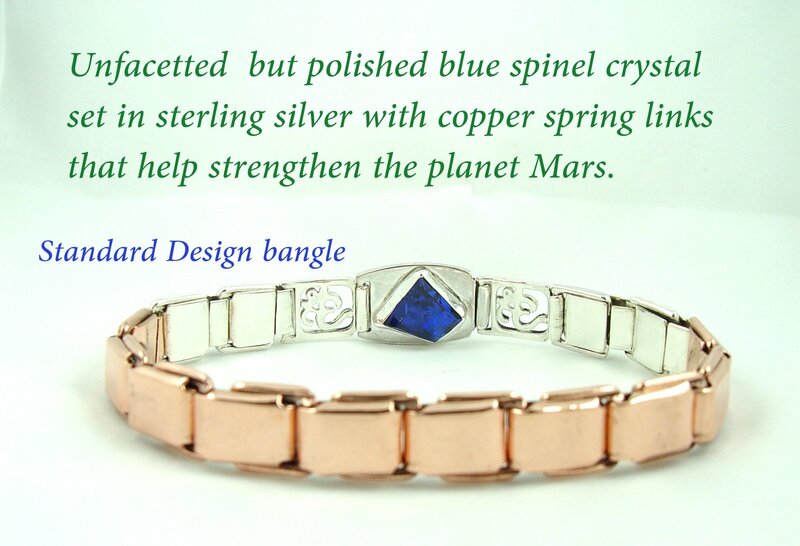 Another economical consideration is to get a bangle made with spring links of pure copper, which is also beneficial to wear. At $8 per link, they’re a third the cost of silver spring links and we will take them back as a trade up to silver spring links if you decide you want to change them later. Or we have fittings that adapt the bangle to be worn with a Velcro or elastic strap instead of this spring link system. 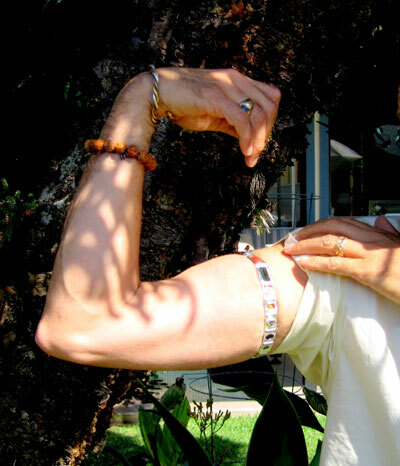 When you think about the extraordinary benefit of imbuing our electrical body with the benign radiating frequencies of these gems 24/7, it’s hard to deny the judicious process of starting out small and getting just a few gems. 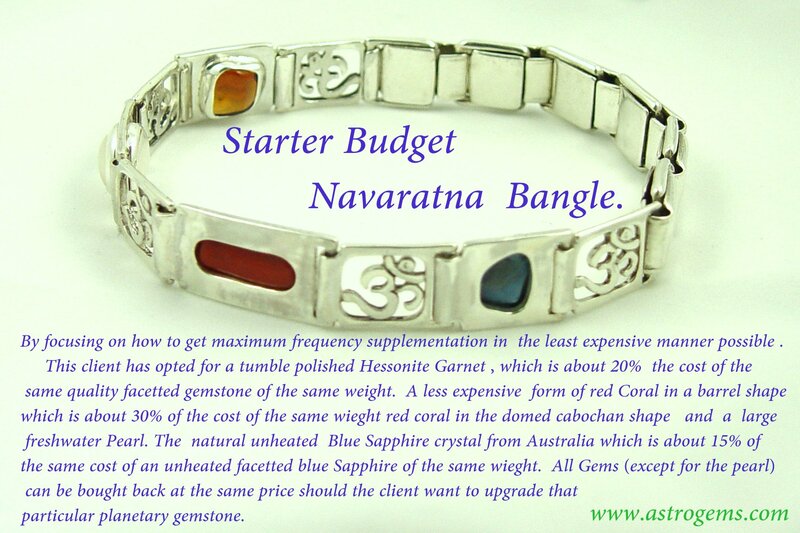 Because the frequency bangle is not customized like Astrogems’ navaratna bangles, it is much less expensive. And uniquely it has a 31 day money back guarantee of satisfaction. We realize that a comfort zone is necessary in order for a client to take the plunge with such a large amount of money for an online purchase. Although some clients don’t have the sensitivity to measure the influence of colored gems, most people notice a shift in their wellbeing when wearing the frequency bangle. 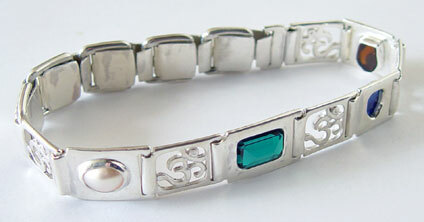 A Starter Bangle with a Blue Sapphire, Emerald and Ruby. 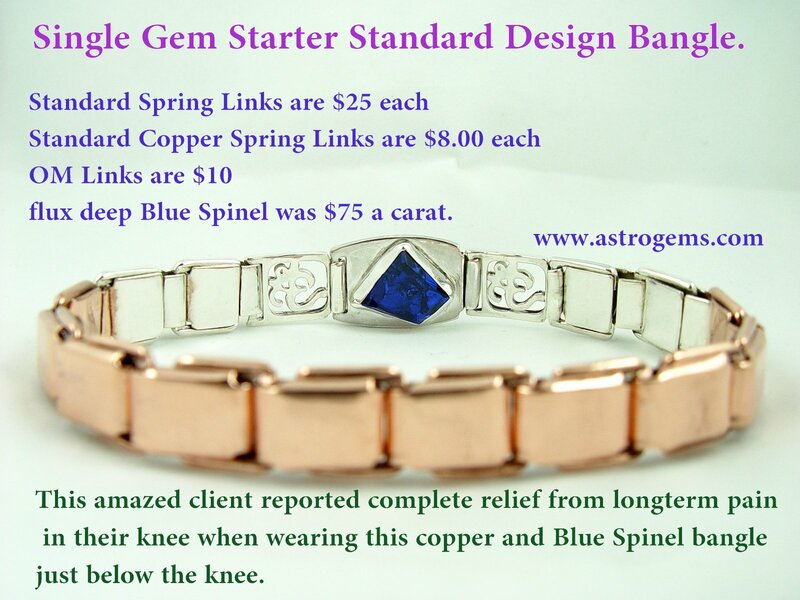 In case you do not have the finances to purchase a full nine gem bangle with all of the primary gems, but would still prefer to wear primary gems rather than secondary gems, a partial bangle is the solution. On our free gem analysis, the gems are listed in order of importance, from your weakest planets (the planets you need the most help strengthening) down to your strongest planets. The procedure to get a quote is to email us with your list of gems in the correct order and ask us for a quote. 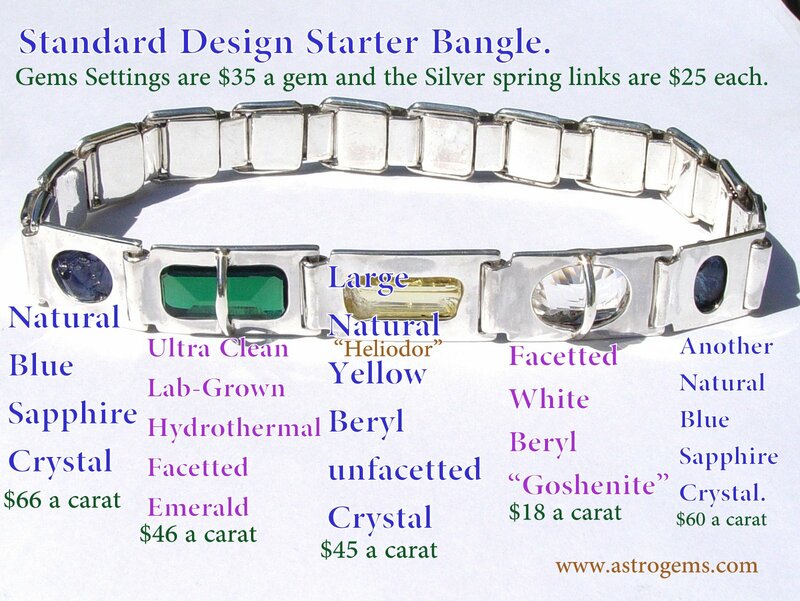 for a budget starter bangle. We will price all nine gems but then you can inform us which gems you would like to select. This way you will get an idea of the final complete project while at the same time understand how much you would like to spend in each stage. Be patient, this type of sacred project can take years. A starter bangle with an uncut yellow topaz, uncut blue sapphire and uncut chrysoberyl, separated by "OM" links. The prices below relate to gems that were sold years ago, and with the dollar's devaluation and the availability of astrological quality gems, prices frequently change. Please contact us for an accurate quote. Please send us an e-mail or call 1-888-833-4225 to place your order.